Our passion and purpose is to be the staffing provider and employer of choice by helping people and companies achieve their goals. We’re more than just a recruitment agency in Las Vegas—we’re a partner in your success. We are a minority owned, Nevada corporation. A trusted partner who cares about the goals of our clients and candidates, and works tirelessly towards helping you to achieve them. A leading placement agency for job openings in Las Vegas. We are proud to be named the 2016 SBA Nevada Woman Owned Business of the Year! As a Woman Business Enterprise (WBE) and Nevada Department of Transportation Disadvantaged Business (NDOT certified), we believe in the sustainable pursuit of diversity and social responsibility. A supplier of innovative workforce solutions, we understand your day doesn’t end at five and neither does ours. We are here for you and ready to help – 24/7. You’ll never sacrifice quality for speed any time of day or night. Our tenured recruiters, human resources, training, and risk management team know the market, talent and industries in southern Nevada. You can count on our expertise to reduce your staffing cost. In-depth skills assessments and complete background and drug screening ensures that every associate we send is skilled, fully vetted and ready to work. We work with top employers throughout the Las Vegas and southern Nevada area. If you are looking for a job or you need staff, your search has ended. We treat our associates well and provide a solid reward and benefits program; this helps us to attract and retain the best talent in Vegas. Learn more. 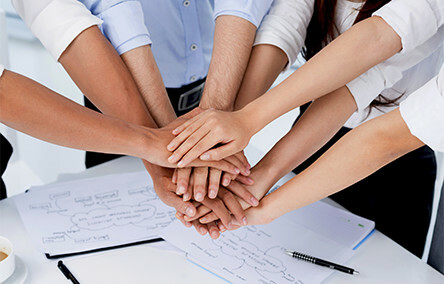 Millenium Staffing Solutions understands and works with some of the most successful businesses in Las Vegas. We’re always looking for the best job openings in Las Vegas, and matching top professionals to those job opportunities. Contact us today to learn more about what our staffing and employment services can do for you.